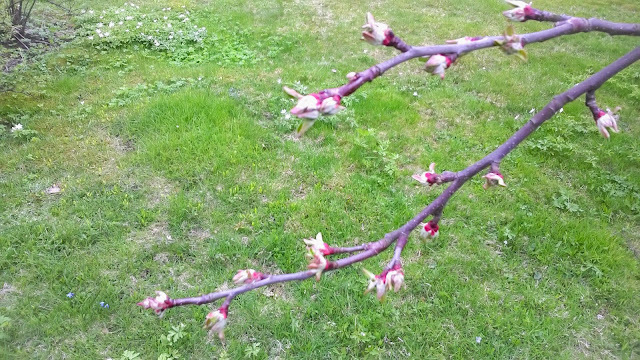 The buds on our apple trees are slowly opening. I'm really looking forward to having blooming apple trees right in my own yard! It's a first for me! Still, the thing I'd love even more would be a couple of cherry trees. They are already in full bloom. I just saw one the other day, but had no opportunity to stop to take pics.